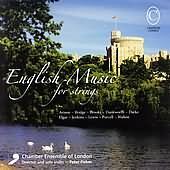 Salon music and short pieces by Fritz Kreisler, Alfredo d'Ambrosio and others, recorded to celebrate the 50th anniversary of Kreisler's death. 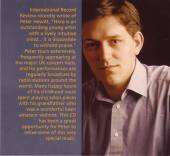 “I knew nothing about the Litmus label, nor about the performers, but I accepted this CD for review because I cannot resist 75 minutes of Viennese pastries and suchlike. I am glad I did. Peter Fisher is the real thing, a polished performer who loves what he is doing and who wants you to love it too. Some morning he might be standing in line behind you at the store, waiting to purchase a point of milk or a bottle of aspirin. You probably wouldn’t realise that a terrific violinist was right next to you, but I think the rest of your day would nevertheless be better because your personal space intersected his for at least a moment. 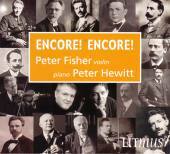 Peter Hewitt, the label’s star pianist, is a fine and sensitive accompanist, but this disc clearly belongs to Fisher, as it should. 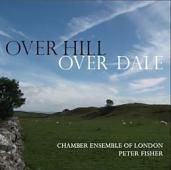 Over Hill, Over Dale, CEOL's new CD, officially goes on sale at the English Music Festival on 24th June. 3. Smetana: Two arias from "The Kiss"
6. 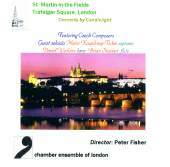 Trnecek: Variations on Smetana's "Vltava"
8. 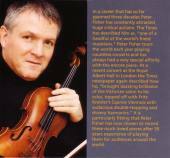 Dvorak: Terinka's aria from "Jakobin"